Christmas shopping online is big business. 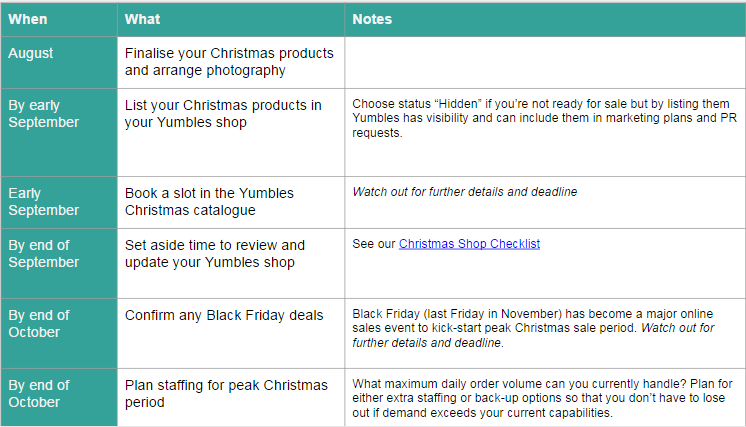 Up to 60% of annual sales on Yumbles takes place during the peak Christmas period (November to December). Here's your handy countdown to keep you on track for a successful season.